Earl F. Parker, Sr. also known as “Pete,” was called home in a peaceful sleep on Saturday, November 3, 2018, to be with his Heavenly Father. Earl was born January 7, 1942 in Lancaster, Pennsylvania to the late John A. and Anna V. Parker. He was preceded in death by his son, Terrance Parker; and four brothers, William Parker, Richard Parker, Carl Parker, and Robert Parker. 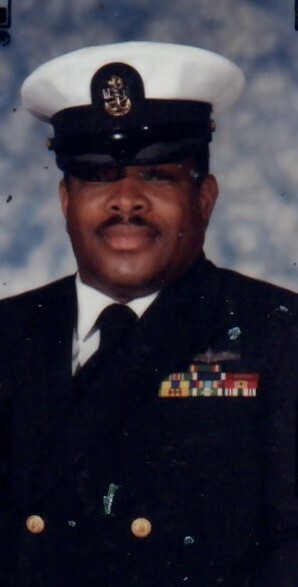 Earl received his formal education at JP McCaskey High School before enlisting in the United States Navy. He served his country for over 30 years. During that time, he received numerous commendations and awards for his service to his units and attained a rank of E-8 Master Chief, before honorably being discharged from the service. In his leisure time, he enjoyed fishing, going to the movies, and watching old western movies. Left to cherish his memory is his loving wife, Carolyn Clark Parker; four sons, Joe Parker, Earl Parker, Jr., Randy Parker, and Larry Parker; daughter, Valerie Bradley; two step- daughters, Tecia C. Williams (Charlie, III) and Tawana C. Nichols (Michael); an abundance of grandchildren including, Sheriese L. Clark, Diamond Clark and Elijah Harrell; a brother, John G. Parker; two sisters, Cecelia Parker and Orpha Booth; and a host of other family and friends. Sorry that I never got the chance to know you. We love you always. You will truly be missed. R.I.H. I am so sorry to hear of Parker’s passing. I know he is at peace now. I will remember him as being a nice man , who always made you feel welcome to his home, making jokes, having a jovial spirit and always smiling. Remember, weeping may endure during the night, but joy wii come in the morning. Stay strong!